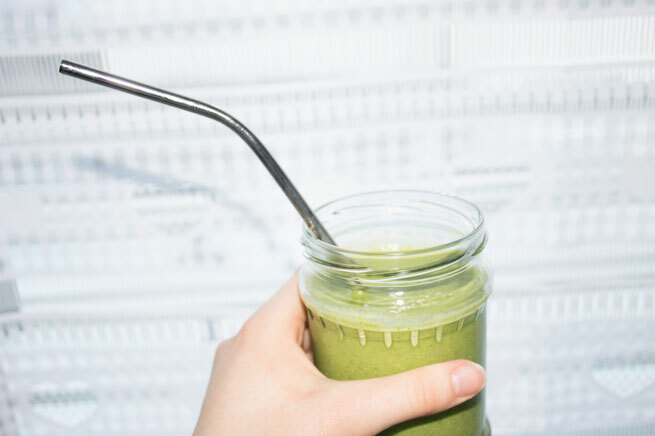 This is my favorite smoothie of all times, This healthy green kale smoothie is packed with fiber and vitamins. Don't worry about the taste: kale is really mild in flavor compared to its other cabbage relatives and with the addition of banana, it turns out really creamy. Place all the ingredients into your blender (I used the Nutri Bullet) . Use as much liquid as you want. It depends on the consistency you like. When everything is nice and blended, serve and enjoy!